We are located on the fourth floor of 196 Boston Avenue. 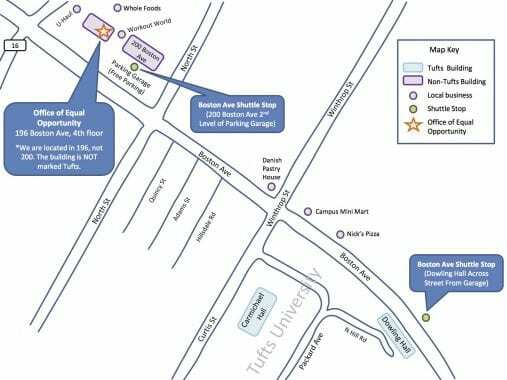 The Boston Avenue Tufts shuttle stops at 200 Boston Avenue next door and free parking is available in both lots at 196 and 200 Boston Avenue. In addition, both the 80 and the 94 public buses stop in front of 200 Boston Avenue.